iOS 6 is now available for everyone to download. Most users are best served updating to iOS 6 through OTA or iTunes, but advanced users can upgrade manually with firmware files. This has several advantages, particularly for those upgrading multiple devices in a household or institution, or for those updating from older versions of iOS. 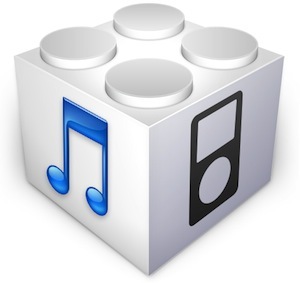 The following firmware links are hosted directly by Apple, using IPSW files requires iTunes. You will want to have the latest version of iTunes installed before attempting a direct firmware update with IPSW. Regardless of how you decide to upgrade to iOS 6, just remember to back up first. The likelihood of something going wrong is slim but it’s better safe than sorry. What is the difference between Iphone 4 (3,2) and the other Iphone 4 updates? Exactly.. other sites are listing iPhone4 (3,2) as GSM which is wrong. iPhone 4 (3,2) – ?? I tried iPhone4 (3,2) for my GSM handset and it gave me incompatible firmware error. I believe the iPad 3 GSM and CDMA versions are swapped. Isn’t the iPad 3 LTE GSM version the iPad 3,3? and the CDMA version the iPad 3,2? Good question. I can chk it out since I have a various flavors to update. What worked for me last time was just to copy all the ipsw files for a given device into its correct folder. The update process seemed to “select” the correct file for each i-device. I wasted time with your iPad 3 GSM download link. WRONG FILE! Bang up job guys. I tried the iPhone 4 (GSM) link but the zip contains no ipsw files at allI iTunes won’t recognize any of the files! That’s because you have to change it from a .zip to an .ipsw file. That’s all. which file do you change to ipsw??? Yes, I just confirmed that the iPad 3 LTE links are mixed up. Yes they definitely are. In the middle of the bush it wasted me 24 hours download time… Anyway, thanks for the listing, with a very low bandwidth, it is impossible to use iTunes. Apple should think global. You guys posted the same garbage everyone else did – the DMG files, not IPSW. just change the extension to ispw and it will work.. the ispw is just a dmg file with a different extension.. I wonder where people get these links. The iPad 3 GSM and CDMA files are swapped. Just got a 3GS for my daughter (second hand) updated it, got code 1015 so guess was previously jalibroken. Will d/l this newest file ipsw save it or need some other miracle? Please change the data cable and try again…….on error 1015 i just borrowed my frens data cable and updated and it works….. So is the iPhone 4S one here for all of the iPhone 4S models (GSM and CDMA)? They are 1 in the same. the difference between Iphone 4 (3,2) and iphone 4 gsm (3,1) and iphone 4 cdma (3,3) ??? yeah, does someone know what the difference is? I have download iPhone 4s ios6 and it gives error while restore now my iphone stuck on recovery mode. iPhone 4s users please don’t download from this link otherwise you will kill your time and lose your data too. i am also having the same problem…. are u able to fix it… if yes… then then share with me the fix…….my ipod is kind of dead right now… help!!!!!!!!!!!!!!!!!!!!! does it work with ipad 2 gsm?? update for iPhone 4s work but my speaker is not working. Though I can listen through my headphone. I was updating my iPod Touch OTA to iOS 6, and it ended up showing the Connect to iTunes screen, which is weird because that kind of gets rid of the whole OTA idea, but it was fine since I have a MacBook with 10.8.2. Anyway, I ended up having to restore it and my latest backup was from August 9th, so that kind of pissed me off. I just don’t understand why that happened. It’s not jailbroken or anything like that, by the way. james did you lose all yur songs and photos? my itouch is showing the connect to i tunes and i dont have itunes on new computer.. nothing is backed up. do you think i will lose everything?? im scared!! yes you will lose everything you idiot always make a backup before you update. Didn’t you read at the top? ALWAYS MAKE A BACKUP AND SYNC YOUR iDEVICE WITH iTUNES. I am not sure how to download one IPSW file with extension ‘.IPSW’. I want to preserve the BB by using redsn0w – 0.9.14b2. Can someone help me in that? I just tried the iPhone 4 update, and it crashed while updating due to an unknown error, phone is in restore mode, this is a mess. SAME HERE ! :( any ideas how to fix it ? Same thing happen to me. Went to i tunes to do a restore but it keeps showing error then bace to recovery mode. Apple said there is nothing you can so is you can not restore it. I was lucky my phone was still under warranty. Thanks too you, I downloaded IPSW file for iPhone 4S with download manager fast. Where should I copy it to have iTunes used it?? when I replay all on ios 6 it also replies to me, is filling my inbox up with replies. Never did that before and I cannot for the life of me find a setting. Can someone tell me how to correct that? attempted to upgrade IPAD 2, to OS 6 —-now screen only shows Apple logo, computer does not recognize, ITunes does not recognize – nothing works! How can I use it? Help me! wat is the difference between iphone (3,2), GSM, CDMA??? please explain. Dmg File asking for a password? so, which one do i download if i have the iphone 4 running off ios 6? These links are from Apple. If you look at the source URL you can see that pretty clearly so any of you having problems with the content of the firmware file should either re-download or take it up with apple. Yes, the iPad 3,3 file should be marked as the GSM ipsw and not the CDMA. I can confirm that the iPhone 4S GSM and iPhone 4 GSM ipsw files are working. Again if you are having problems, you probably got a corrupted download. It happens. I cannot understand whats wrong with iOS 6 ipsw firmware for iPhone 4 (GSM). Every time I click download, i got a file of 1980KB only by which i couldn’t update my phone. I was also trying to download the iOS from my apple device but it shows error on the middle of download. I also tried to update my phone through iTunes but there is also a same problem like the first problem(1980KB File size and it shows error after download). So what can I do now? my ios 6 has been not worked and when i connect to itunes it only says “sim is not compatible” what should i do???? Both iTunes and snowbreeze says the ipsw files I downloaded from here are corrupted. What to do? The IPSW are hosted by Apple, they are certainly not corrupted. You need to right-click and Save As, it’s a .ipsw file not a .zip file. Use a different browser. Thanks, must be my iphone thats faulty. I’m trying to restore and update a second hand iPhone 3GS. I’ve changed the file extensions of the files from .dmg to .ipsw but I’m getting an incompatible firmware error when I try to update in iTunes. Help? Please im downloaded ios 4.3.3 and now my iphone 3gs is stuck in rocovery how can i fix it ????? When restoring my iphone 5 to ios 6 with your ipsw file using itunes, it gives me firmware errror y? when i tried to install this ios6 , the itunes opened and again starting dowloads this ios 6 . Hold down ‘shift’ and click. Hello guys… can i unlock my Iphone4 with this with the restore file?? or is there other software that enable me do that?? I am using a mac and I tether the iPhone 4 but I can’t do it on my iPhone 4s. It’s says the IPSW can’t go with the version of redsn0w 0.9.15b3. Can anyone help me please!? Tried to downgrade my iPhone 5 GSM from 6.0.2 back to 6.0.1 but I get this error when trying to select the ipsw file: “iphone could not be restored because the firmware file is not compatible” What am I doing wrong? can not jailbreak ip 3gs, when i try to use redsnow, it says missing file build, can anyone help plz? followed instructions on this website but can’t seem to get it. i download the IPHONE 4 GSM file, but i don’t know how to install it to my phone. Whenever I click on any of the links it just says waiting for appldnld.apple.com….. Any clue how to fix? Happens for any of these direct download links and iTunes is wayyyy to slow so I’d prefer a direct download. I am trying to update my Iphone 3GS and Iphone4, i am getting error code 3194. How to come out of this error and how can i update my IOS. To fix this you can just restore your iPhone if you have a recent backup (1 day – 2 weeks) but if you don’t, you have to downgrade to last update. If this doesn’t work, try another forum. This usually works but doesn’t work every time from luck. My sources: I had all iPhone types and jail-broke them all and this happened to me to the first two iPhones. Ensure that you have downloaded the correct version of firmware for the iPhone model. c) Now release Power button while keeping Home button pressed until Redsn0w detects the device. Step-13: The rest of the process will take place on your iOS device. Wait until the process is completed. The iOS device will reboot again. You will see Home screen on your iOS device but Cydia would still be missing. This is since you still need to tether boot your iOS device using Redsn0w. Follow these steps below. Step-19: Now place the iOS device into DFU mode.